Mario Götze has hailed the impact new Borussia Dortmund head coach Lucien Favre has had on his and BVB's game since the Swiss took charge at the beginning of July. Dortmund are unbeaten over 90 minutes in their four pre-season tests so far this summer under the former Hertha Berlin, Borussia Mönchengladbach and Nice strategist, with Götze playing a starring role. 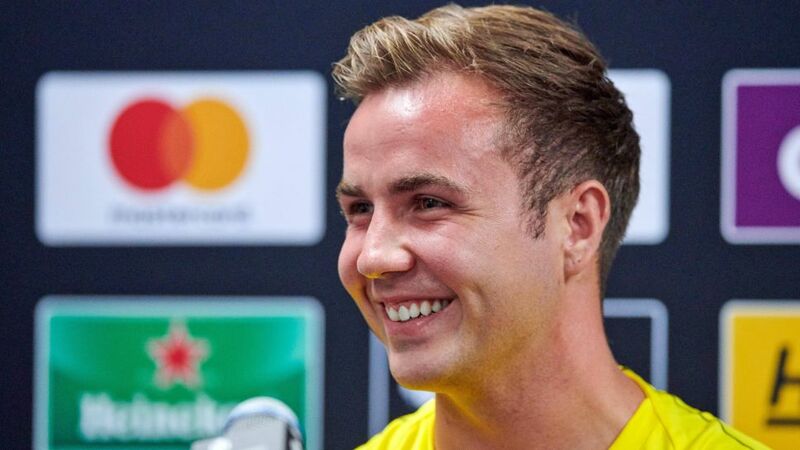 "[Favre's] approach to things is just outstanding," Götze said following Dortmund's 2-2 draw with Benfica in the International Cup in midweek - a contest the Black-Yellows eventually lost 4-3 on penalties. "It's important that we feel happy in the system - and we do. I'm really looking forward to what's next." Götze has every reason to be excited. Thriving in Favre's preferred 4-4-1-1 formation, the 26-year-old is beginning to affect games in a manner scarcely seen since he scored the winning goal for Germany in the 2014 FIFA World Cup final against Argentina. Götze sunk the match-winning penalty against Pep Guardiola's Man City on 21 July and chipped in with two assists against Benfica five days later. As a reference point, he managed just three goals and five assists across his last two seasons of Bundesliga football after returning to BVB from Bayern Munich in July 2016. "I'm feeling really good," said Götze, with the disappointment of missing out on a place in Germany's 2018 World Cup squad firmly behind him. "I've had a long break. I've used it to recharge and prepare for the new season. I'm the kind of guy who always tries to make the best out of situations." Although still very early days in the Favre era, it already appears to be a case of all systems Götze. His health problems - he was sidelined for five months in 2017 with a metabolic disorder - are a thing of the past and he has his coach's full backing. "Mario can play in a variety of positions," Favre enthused. "He's played behind the striker, on the right, on the left, in attacking midfield and defensive midfield. He's definitely on the right track."